Through a collaborative effort from 11 entomologists, the Entomological Society of America has released a new infographic to help explain integrated pest management. "Need help explaining integrated pest management? 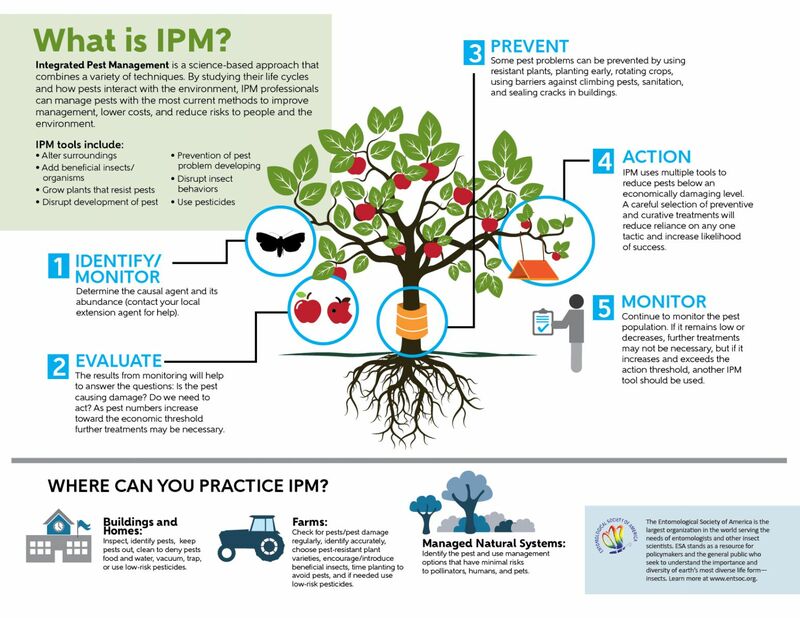 Try using the new illustrated infographic published by ESA titled "What is IPM?" Outlining the fundamental steps of integrated pest management and its applications, the infographic is a great resource for public outreach and education efforts. (It would also look great hanging in your office or lab!) Download and share the infographic in PDF or JPEG format." Check it, and the other infographics, out here.